Trapped in Kansas at the turn of the twentieth century, Nell Plat is seventeen, unhappily married, and the mother of two baby girls. No reality could be further from her secret dreams of glamour and excitement, dreams that will tempt her to do the unthinkable and run away to the glittering wonderland of Los Angeles and the burgeoning motion picture industry. I couldn’t cook but I could sew. It would have been better the other way around.” So begins this witty and transporting new novel by the acclaimed Erin McGraw, introducing us to Nell Plat, who, at age seventeen, finds herself unhappily married and the mother of two baby girls. For a young woman with a hunger for excitement and glamour, Kansas circa 1900 offers nothing but a flat horizon. Still, Nell find some joy sewing and making dresses for women in town. Dreaming over her sewing machine, she begins to entertain ambitions she knows she cannot share. Based on Erin McGraw’s grandmother’s life, here is the story—told in Nell’s own irreverent and wise voice—of what happens when Nell runs away to Los Angeles in the year 1901 as the new motion-picture industry is just taking root. Nell marries again, has a daughter, and goes into business as a costumer in the Hollywood of the Roaring Twenties, renaming herself Madame Annelle. But a knock on the door by her grown daughters, precisely the thing she has most feared, threatens to take apart the new life Nell has so carefully built. Forced to confront the legacy of the life she believed she had shed, Nell struggles to make the right choices the second time around and finds herself truly transformed. In vividly bringing to life the story of Nell Plat, Erin McGraw gives voice to the stories of the countless young women who, unsatisfied with their lives, headed to Hollywood in its heyday. 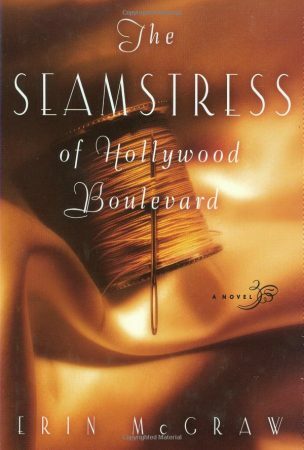 The Seamstress of Hollywood Boulevard magically recreates that glamorous time and place, and allows us to witness it beautifully dressed, well lit, and close up. McGraw breaks the mold for the obstinate turn-of-the-century female protagonist, but Nell has to compete with McGraw's meticulously researched surroundings for pride of place. Nell's Los Angeles is a frontier town crossed with Tolstoy's Russia....The sedulous craftsmanship of McGraw's writing, like the neat stitches of her protagonist, makes each development fall out naturally in service to the story. Seamstress succeeds because McGraw never criticizes or romanticizes [the] story or ties it into too neat of a bow. She reconstructs it—and yes, embellishes it—winningly, knots and all. McGraw…grounds the story in just enough historical detail to keep it from floating away, and she brings to life a newborn California where every flapper drinking gin in a speak-easy hides a previous life in Wichita, Abilene or Dodge City. McGraw's Southern California is dead on, impressing this native Californian with a living, breathing early-20th-Century Los Angeles,…not to mention the nailed-together back lots of the nascent movie industry. You can smell the plywood and the makeup. McGraw excels in her handling of ideas about American reinvention and European-flavored notions of class in Los Angeles, where a self-invented character understands that no one else can really be trusted. Her dialogue, especially between Nell and other tough women characters, is superb—surprising and essential.